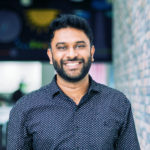 Arvind Parthiban is the director of marketing at Freshworks. Previously, he was the CEO of Zarget. He’s an ITIL expert and is passionate about football, beer and movies.